Bait for the day, casters for going through the feeder and loose feeding over the pole lines, dead red maggots together with micro and 6mm pellets, and some groundbait. 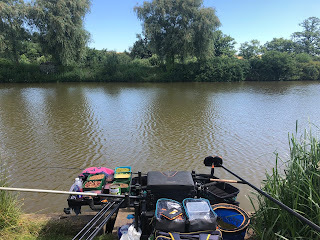 My match plan was to feed a line negatively and the other one a little bit more positively, so a single ball on the left hand line and three balls on the right hand line mixed with around a quarter pint of casters. I'd drop on the feeder just short of mid way straight down the centre for the first hour. The margin I would drop around four 6mm pellets in every 5 minutes and also ping some casters over the two pole lines. Well the feeder line produced nothing. I suspect that there was only very small fish attacking the hook bait as I would not see a bite yet the dead red maggot would be smashed to pieces. So I moved onto the pole lines and finally put my first few fish in the net. 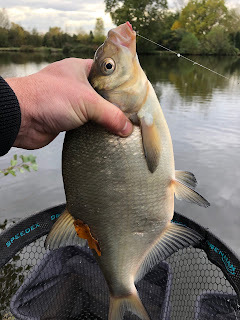 I took four small roach from the left hand (negatively fed) line with no bites over the other line. 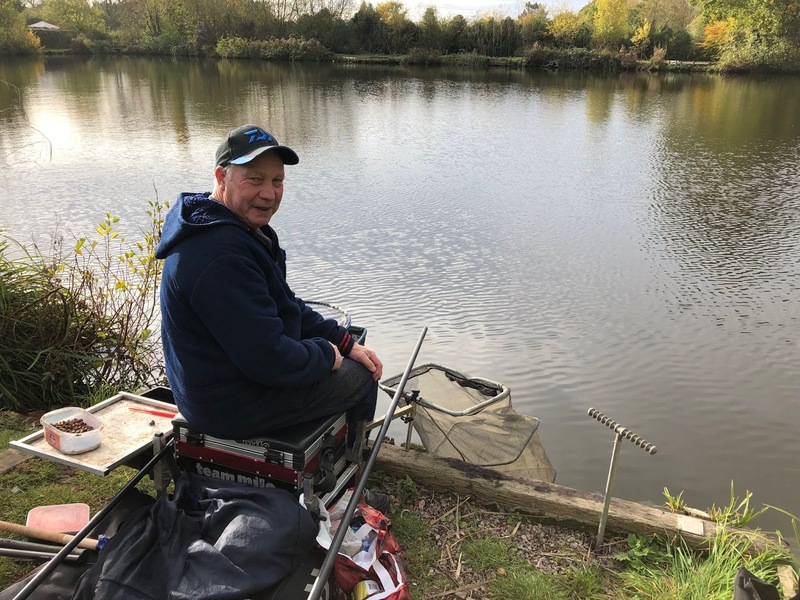 Another hour slipped by and finally the float went, again on the left line, and the first decent bream was on and in the net. 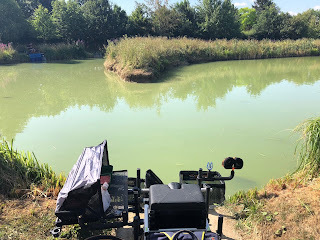 There must be more out there I thought... think again as the next few fish were small roach. I put on a banded 6mm pellet and waited it out, lifting and dropping the rig for nought. The time was slipping by and the right hand line was producing absolutely nothing, the left hand line was sporadic so I was switching between that and the feeder. 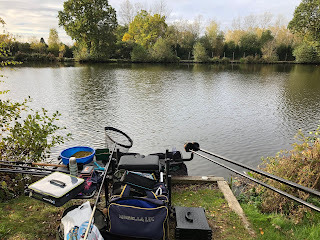 I put the feeder just off the back off the positive pole line and had even switched to a small bomb and 6mm pellet to see if any larger fish where hanging off the end of the feed. 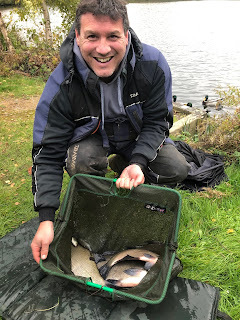 With the closing hour of the match I had tried the margin with nothing to show from it and finally my left hand line started to produce some decent bream, well, two of them in quick succession before the all out. 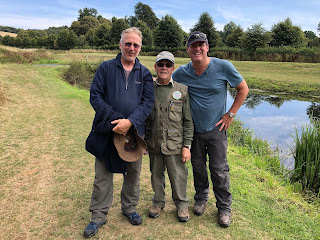 I had seen that Tommy had caught a few good fish on the waggler, but had I done enough? 8lb 8oz for 3rd in the match. Well done to Nobby for the win with his 17lb including a large double figure carp and Richard second with 14lb. I should have used a darker groundbait as it was too visible on the bottom, so this is why I assume my right hand pole line probably didn't really produce any decent fish, they were simply too visible in the clearer water over a lighter groundbait. A good result however no rhyme nor reason behind when the larger fish would turn up.